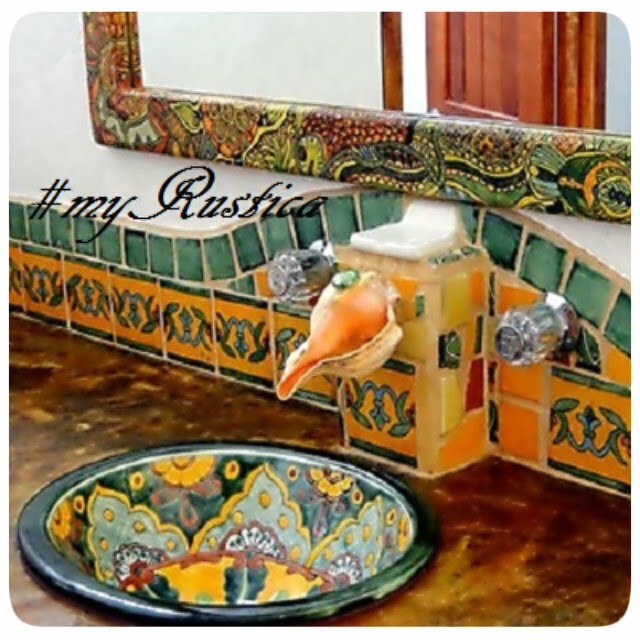 Rustica House top seller among Mexican sinks is an oval bathroom sink. It can be installed as undermount and drop-in. They are handmade in three dimensions. Apart of large and small, the medium one has the most interest among our customers. 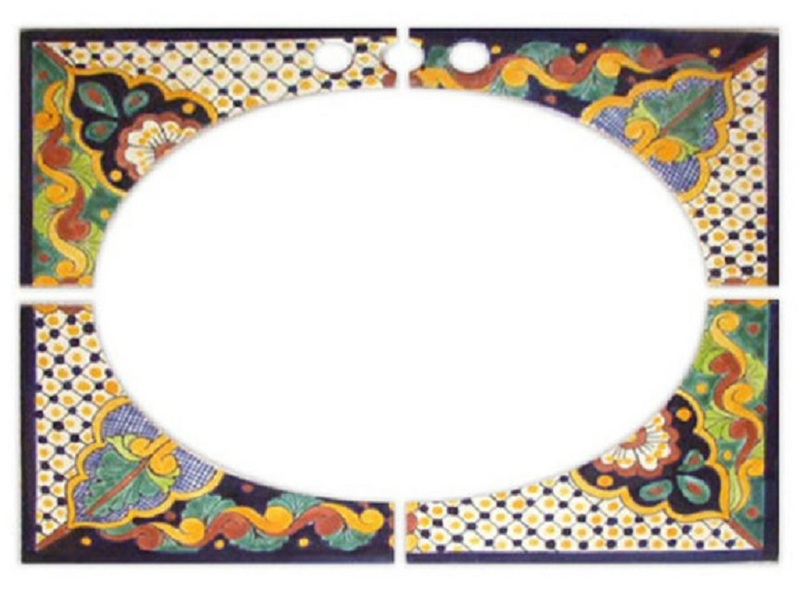 It also comes with optional four ceramic counter tiles that are decorated with the talavera sink pattern. Rectangular and round bathroom sinks are produced in one size. All of them are hand painted in Dolores Hidalgo. Some of the drop-in sink models are painted inside and outside of the wash basin. They are perfect for glass counter-tops.